How Many People Are in Your Home? Generally speaking, a Septic Tank size is based on the number of bedrooms in your home. If a recent addition has been made to your home, you may want to schedule more frequent pumps. As well, more frequent pumps may also be necessary if you are housing large events/guests, so as to be sure you don’t suffer back-up. Are You Using a Septic Additive? The bacteria in your Septic Tank helps to break down solid waste into tiny particles. This aids in their ability to be rinsed out into a drain field. Subsequently, additional additives may be necesssary! 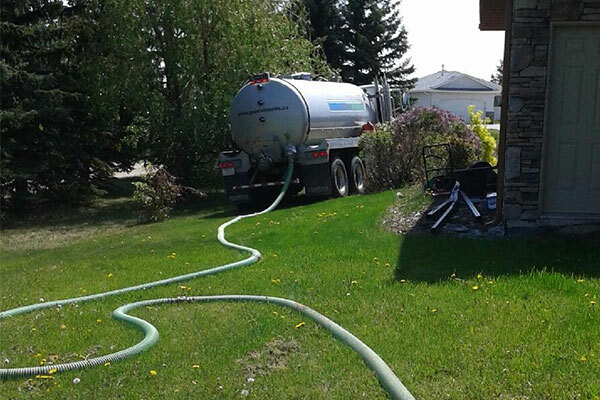 But if you are using additives, leave a little more time between your Septic Tank Pump Out. What’s Being Used to Clean in Your Home? The use of bleach is common in most households. However, high amounts of these harsh cleaners can disrupt the bacteria that is necessary in your Septic Tank. Drain cleaners are also just as harsh, and with increased use of these items you will need more frequent pumps. Are You Using a Garbage Disposal? Simply put, a garbage disposal will leave much larger chunks of waste in your tank. Evidently, because it takes the bacteria in your tank longer to break down these items, you may need more frequent pumps. When it comes to owning a septic tank, generally the only things you should be flushing are human waste and toilet paper. Any additional items will cause build-up, in which case you will need a Septic Tank Pump Out more regularly. The latest news from Go Services Inc. - your solution for Industrial, Construction, Oilfield and Special Events - Services & Equipment Rentals! Contact Us today to Inquire! Unit 1A, 380 McKenzie Blvd. Go Services Inc. management supports participation in the program by all employees and contractors. All employees and contractors are required to follow company health and safety policies and it is strongly encouraged to contribute to the health and safety program in a positive manner.